Cradock Bungalow at Perranporth is up a little road, just behind Lloyds Bank at the very bottom of Liskey Hill, near the Park. It is in a wonderful position in the centre of Perranporth with its shops, boating lake, beach, tennis courts, pubs and restaurants, yet it is secluded with an enclosed garden and private parking. Please note however Cradock is not a smart modern bungalow. 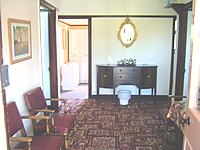 It was built in the 1920’s and has the decor, bathroom and kitchen from that era. 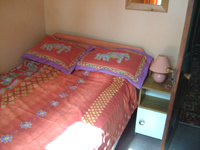 It is quite spacious, with three double bedrooms and is adequate for a summer holiday. As a result, it is very very reasonably priced so please don’t be disappointed if it isn’t smart and modern as a property like that would cost double the price that we are charging. It is only a stone’s throw from the magnificent sandy beach with its cliffs, caves, pools rolling dunes and the sea with its great breakers – excellent for surf riding. Perranporth has tennis courts, boating lake and a golf course and there is a gliding club nearby. There any many pleasant walks around Perranporth, in particular, those up the combes (valleys) and along the cliffs where one can walk for miles. Newquay with its many attractions, including an excellent zoo, is only 20 minutes drive away. 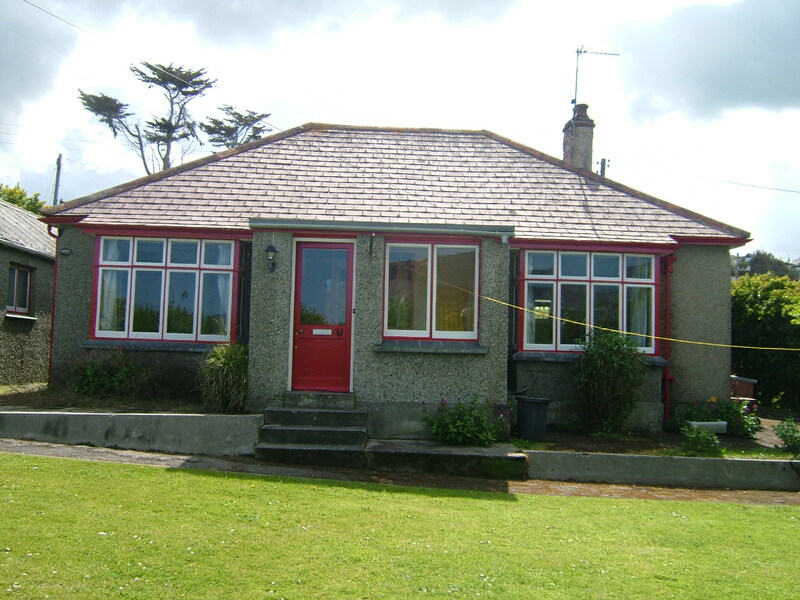 The bungalow is ideal for 6-8 but you can squeeze in some extras and is pet-friendly. There is only one bathroom. 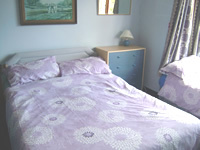 Crockery, cutlery, saucepans, pillows, blankets and duvets are provided but not linen. There is a clothesline in the garden and a washing machine and tumble dryer in the house. 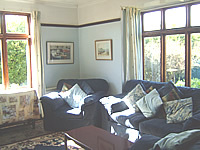 Sitting Room With easy chairs, sofa (which pulls out to make a double bed) and piano. Colour TV Table and chairs. 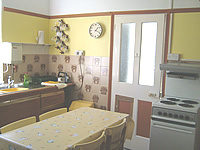 Kitchen with electric cooker, fridge, fridge freezer, electric kettle, microwave, small table and chairs, washing machine and tumble dryer. 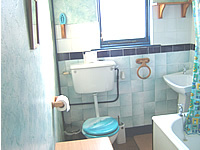 Bathroom with bath, shower over bath, washbasin and WC. 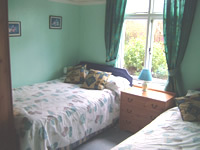 The bungalow is also available “off-season” for £295 per week. 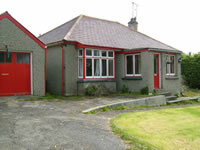 The bungalow is also available “off-season” for £295 per week. Please inquire for long lets over the winter at reduced prices. Alternatively, you may call us on 01872 552262 and pay by debit/credit card.